3 days left to help make “Capitalism Works for Me!” | F.A.T. Fundraising for “Capitalism Works For Me” ends Saturday. This means to receive rewards for pledging support, you have to commit in the coming 3 days. At this point, all funds are going toward taking the sign to cities without institutional support. It only costs $1 to join this party! Then you are connected to the project, and receive exclusive exciting updates as it progresses. Don’t be in the dark. It’s one of the 10 best art projects in the history of Kickstarter! New rewards will be posted in the final days – signs, prints, and more. Today I added an “IT’S ABOUT POWER” sign. 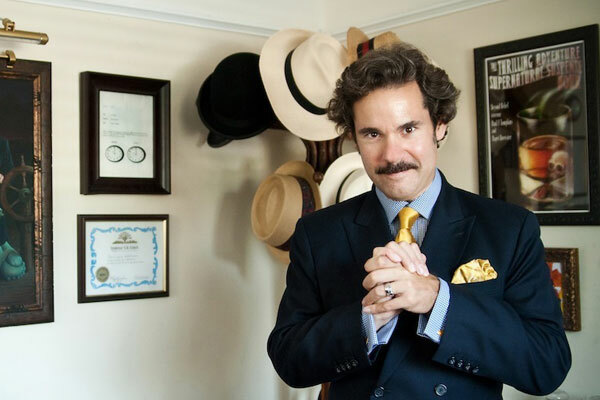 And drumroll… Paul F. Tompkins is writing the catalog essay! As you may know, most exhibition catalog essays are written by art critics and art historians. But I’m in charge! And I couldn’t be more excited about having one of my favorite comedians, Paul F. Tompkins, writing for the catalog. The famous comedian. You may know him from television (The Daily Show, Comedy Central specials, Mr. Show, Best Week Ever with Paul F. Tompkins, appearances on Community, Curb Your Enthusiasm, and many more), from his popular podcast The Pod F. Tompkast, from the Best Show on WFMU, and from being a comedian. Pledge your support and get the essay! The essay appears in the SPACES exhibition catalog (starts at the $25 level) and in the book (starts at $65). If you’ve already pledged your support, you can manage your pledge level and select new rewards anytime within the next few days! Don’t wait, do it now! I’m not sure what form this essay will take or where Paul stands. On the one hand he had this experience buying a house. And in this music video, he is wearing a tuxedo and financing musicals!